We are obsessed with flies. I understand this thinking, this desperate desire to control our circumstances and assure success in our pursuits. 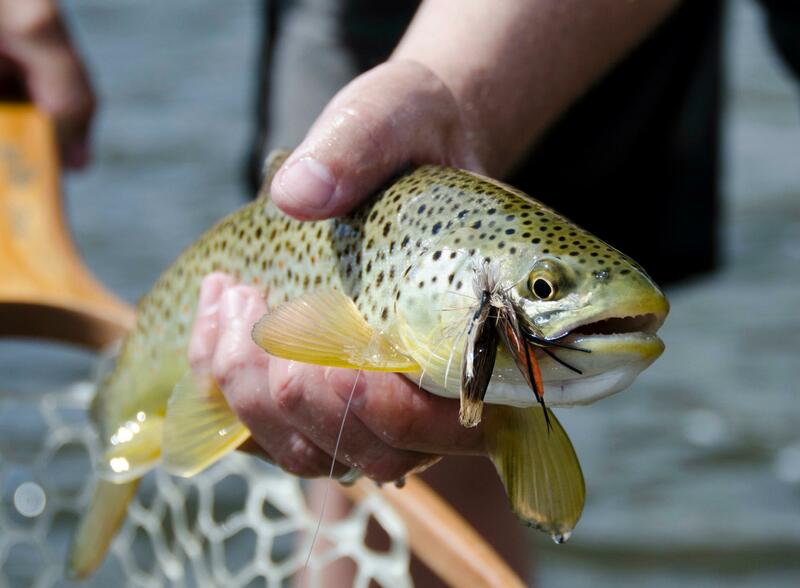 So many aspects of fly fishing are out of our control. We can’t really guarantee where the fly will drift once it has been launched into or onto the water. We can’t force the fish to think our relatively cheap imitation of a natural creature is something worth eating. We can’t control where the fish will go once, that is if, we hook into it; nor can we always control if he/she/it takes our line under a rock, around a limb, into the moss, or out into the current. This is what, in some ways, distinguishes a fly fisher from nearly every type of angler: generally speaking, because of a variety of fairly strict rules we place upon ourselves and the unpredictable circumstances inherent with all outdoor sports, our task is extremely difficult. If you’ve forgotten this, watch a first-time fly fisher on your home waters for a half hour or so. This sport is not easy. So, it only makes sense. If we know which flies the fish are taking, we now have a modicum of control. We are not just fishing by chance alone. This makes us feel better. It makes us feel less like we are at the mercy of a lesser creature with a brain the size of our thumbnail. So then why is it, on any given day, on any given stretch of water, on any continent on the planet, if you catch five fish using a size 18 hotwire prince nymph dropped off a size 8 Royal Trude, I will not catch even close to that many fish – assuming we have water of equal quality and relatively similar fishing skills – using the exact same setup? But, if I change to a tan chamois worm and a guide’s choice, I suddenly begin hooking up. But here’s the funny part, and stop me if you’ve heard this one. What happens next is what amazes me every time. Once the “secret” is out of the bag and I have spent five minutes tying a new series of “magic flies” onto my leader, something miraculous happens – I don’t always catch fish. In fact, many times, using the same rig as my successful partner, I will go quite a while without any success at all. Here I am, doing everything “right” and using the “right” flies, and fish are ignoring me completely. Even if my pal, recognizing my frustration and being the utopian anarchist that he is, encourages me to step into his fishing hole and make a few passes, still the fish snub my offering. My buddy and I may have fished hundreds of times, with mostly equal results, and suddenly I can’t fish? Suddenly I have lost the touch? Then, what happens next, and stop me if you’ve head this one before as well, is just as amazing. Out of sheer frustration, and the inability to admit I am a poor fisherman, I change my flies to something completely different, something that just “feels” right to me. Or something that I have caught fish on before in this river. It may not even make sense, like using a caddis larvae way too early when there has been nothing but baetis hatches for weeks. But I change up just the same. And you know what happens more often than not… I begin to catch fish. 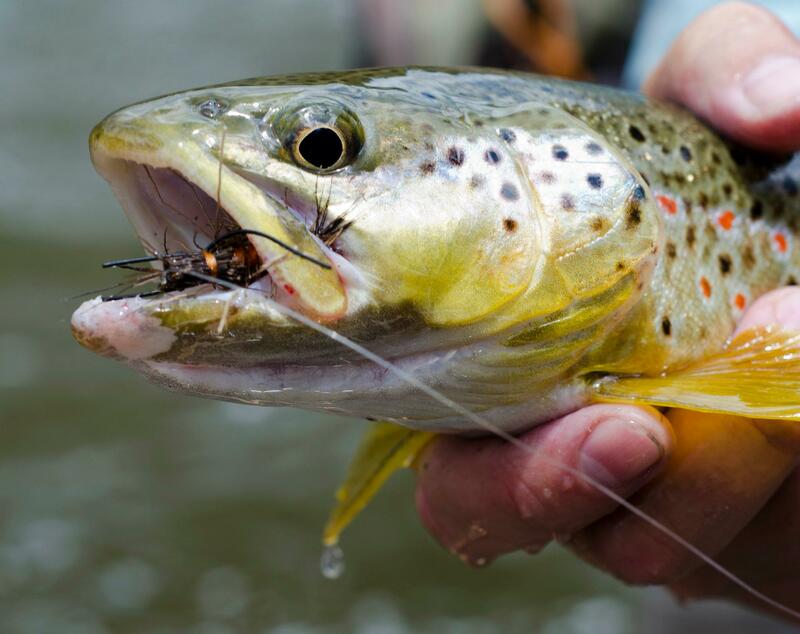 I am convinced that while fly selection is generally a very important aspect of this sport, and that a decent replica of the insects being fed upon is a prerequisite for consistency in fly fishing, so often it all comes down to confidence in what you are doing. I still seine water now and again, and I still sneak the occasional peek at the local reports from the guides who fish regularly for a living, but there are times that my success can only be attributed to me believing in the patterns I am throwing into the feeding zone, and that this confidence in what I am doing translates through the rod and line and leader and tippet, culminating in a drift that entices a highly specialized animal to believe in the offering. I am sure you have experienced this, as well. We are obsessive creatures we fly anglers. We spend hours upon hours studying aquatic behaviors and ecosystems in order to make magic happen. We learn to create frauds of tiny insects and live prey and to present those to fish in a realistic manner. But the Mojo comes from somewhere inside the human being. It comes from believing that you will catch fish because that is what you are meant to do on that day. And more often than not, that belief is right. Excellent post, I have always believed that if you are confident in what you are fishing you will fish it better. And sometimes you are confident in these things because you have a predisposition to fish that fly better in the first place, Some little, unnoticeable intangible works between you and that fly…. Thanks. Couldn’t agree more. We all have little subtleties in our presentation or the type of water we subconsciously (or consciously) target that makes certain flies more productive. Some of us even have “poor” technique that inadvertently aides us like letting the fly swing or rise a bit during the drift rather than floating dead. And certain flies work well in these situations.